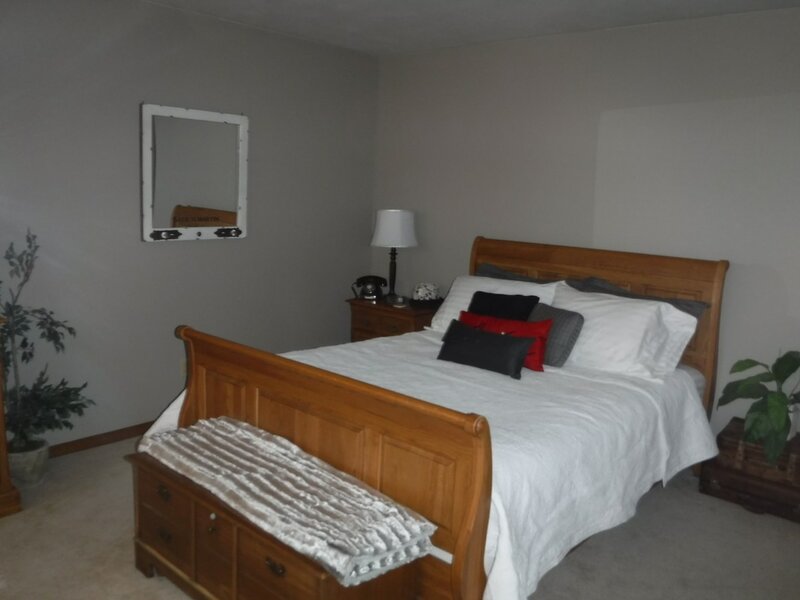 This room features a queen size sleigh bed and the ammenties of the other rooms. You have the flat screen t.v. 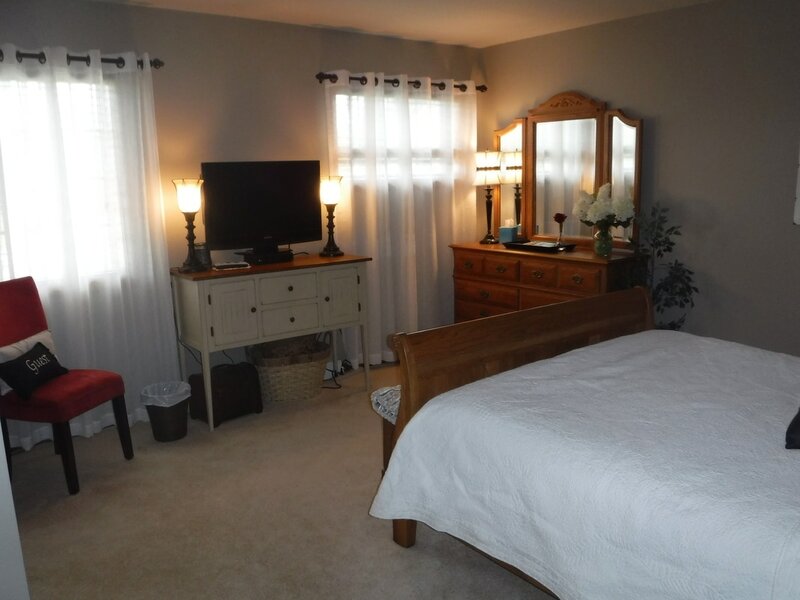 with satelite connections, the nice view of the pool and woods and a nice walk-in closet. Threre is a private vanity and sink area accross the hall and you do share the bath and toilet area with the Vintage Elegance. Your room has a "his & hers" robes for your personal use. Shabby Chic provides a comfortable and relaxing weekend get away. Check with us for specials for celebrating anniversaries or birthdays!